A month ago, Gap launched an online shoe business called "Piperlime". This business competes against multichannel shoe retailers and online pureplays like Zappos. You might enjoy some of the comments about this new business from various bloggers. And the end of the blogger section, I'll ask for your opinion. Styledash --- might take business from Zappos. Celebrity A-List stylist Rachel Zoe and guest editor for Piperlime, from Soles4Souls.org, an organization that uses donated shoes to help the world. Brief discussion of some of the brands Piperlime carries. From the Second City Style blog. More important, what do you think of a multichannel retailer launching an online-only "pureplay" brand? Does this fly in the face of what pundits tell us about how we should executive multichannel retail strategies? What do you think? What chance does this startup have of succeeding? Is Gap crazy, or brilliant? Let's talk about some of the equations that individuals use to measure advertising return on investment in the multichannel retailing industry. Ad to Sales Ratio: This is one of the most frequently used equations. Assume you spent $10,000 on an online marketing campaign, and generated $50,000 net sales. The ad to sales ratio is calculated as ($10,000 / $50,000) = 20%. Obviously, the lower this percentage is, the better your advertising performed. Multichannel retailers compare advertising efforts against each other with this metric. Sales per Ad Dollar: Some industry publications like to use this metric. In the above example, we simply calculate the inverse of the ad to sales ratio. ($50,000 / $10,000) = 5.00. In this case, you get five dollars of sales for every dollar of advertising spent. The higher the metric, the better your advertising performed. E-Mail pundits like to use this measure, since e-mail has virtually no cost, thereby insuring that it has a good "return on investment". Cost per Order: Online marketers enjoy using this metric, one that is maybe the least effective metric of all. Assume that the $10,000 spent in our previous examples generated 400 orders. Cost per Order (sometimes labeled "CPA" for cost per acquisition) is ($10,000 / 400) = $25.00. Each advertising strategy is compared, with lower metrics preferred. This metric is highly skewed, because the metric doesn't account for how much was spent, per order. Profit per Order: A more effective, but less-used metric, is profit per order. Let's assume that, in the example above, twenty-five percent of the sales generated are converted to profit. In this case, ($50,000 * 0.25 - $10,000) = $2,500 of profit is generated. Next, divide the $2,500 profit by 400 orders. This yields $6.25 profit per order. This is one of the better ROI measures, because all aspects of the profit equation, sales, margin, and marketing cost, are included. Better yet, this measure can be stacked-up against long-term value metrics. For instance, if a marketer loses $10.00 profit per order, but expects to get $50.00 lifetime value back, the marketer should invest in the marketing activity. Internal Rate of Return: This metric is not frequently used, but reflects what happens if marketing dollars are continuously invested over the course of a year. In the Profit per Order equation, we netted $2,500 profit on an investment of $10,000. Let's assume that this marketing effort took place over a twenty-six week period of time. The internal rate of return is calculated as ($12,500 / $10,000) ^ (52 / 26) = (1.25 ^ 2) = 1.56. In other words, on an annual basis, this investment has a fifty-six percent interest rate. The interest rate can be compared against all other marketing activities (many of which have a different time window --- e-mail may have just seven days, for example). Your turn! What return on investment metrics do you like to use to evaluate marketing activities at your company? November saw a 40% increase in traffic. Thank you! Here's what you enjoyed reading the most in November. Number Four was a tie. "Business Review: Overstock.com", a discussion about profit and loss at the low-cost, low-margin online pureplay. Tied for fourth was "Return on Investment Equation and Copywriting". Google helped this out (do a search on ROI Formula, and see what appears in the top 7 results). Number Three was "Mergers and Acquisitions", a discussion about Eddie Bauer being purchased. Number Two was "Williams Sonoma, Incremental Online Sales and Matchback Analysis". Our multichannel retailing audience enjoyed this post. And the Number One article was, in a landslide, "Please Help Our Industry Measure Advertising Effectiveness!". The spreadsheet, which needs to be solved by January 31, 2007 (all valid answers will be published here), has been downloaded by individuals in nearly a dozen different countries. My hope is that a good mix of data miners, and folks from industry leaders like Abacus, Merkle, Acxiom, Unica, Experian, SAS, SPSS and others genuinely try to do good for the multichannel retailing and online industry, and provide a solution to this problem. Earlier this week, I asked "What Is Wrong With E-Commerce". A nice person named Thomas Holmes (check out his site) had a thoughtful response to my discussion, and better yet, forwarded a site that has more of a "human" feel to it. Check out Little Paper Planes. This site is neat! Really neat! It isn't a cookie-cutter site. On the top of the page, there's a discussion about holiday orders, with an actual e-mail address that the visitor can contact. Notice on the left side of the page there's an actual blog-style discussion from an actual human being. The site offers e-mail signup and access to their RSS feed (which I just subscribed to). In spite of these little innovations that give a human feel to the site, the proprietor still does a lot of selling on the homepage. I would classify this site as a "hybrid website". Now it's your turn. Let's use this forum to share with each other examples of e-commerce websites that do a great job of balancing selling with offering a "human" feeling to the cold process of online shopping. Are there sites you visit that meet this criteria? KDNuggets, a popular data mining portal, has posted our problem on their site: http://www.kdnuggets.com/datasets/competitions.html . I have also made contact with major vendors, including Unica, SAS, SPSS, Acxiom, Experian and Abacus, requesting that they give us a solution to our problem. Let's hope we get interesting solutions from these organizations. Customer Acquisition: Full Price or Promotion? Let's pretend you are the marketing executive at an online retailer. You have $100,000 to spend acquiring new customers. You can acquire them via normal methods, or you can offer prospects a 20% off your order of $100 or more promotion. The projected short-term, and long-term results, are included in the following table. Which strategy would you employ, and why? FYI, Cyber Monday goes in the books as the second-best day for visits in the brief history of this blog. Thanks to you for making Cyber Monday memorable! Sometimes things just slip by me, and I need a fellow blogger to awaken my senses. Earlier this year, Google released Google Checkout, a method to make checkout easy for customers shopping your site. Google charges a fee of 2% of the order size, plus a $0.20 flat fee per transaction. In other words, Google picks up the charges associated with the credit card order, and keeps a small fee for themselves. The list of participants is a who's who of online merchandising. So, my dear online marketers, database marketers, and multichannel marketers. I have a few questions for you. Question #1: Did you receive incessant and passionate feedback from your customers, begging you to add this service to the array of checkout options you already offer? Question #2: At what point do you, as an online marketing executive, finally stand up to Google and say "No thanks, I'll manage the rest of my business on my own? Think about it. A portion of your customers fail to recognize your brand, and instead type BLUE NILE into Google, resulting in a click-through to your website. Worse, the click-through may be the result of the customer clicking on paid search. In this case, you pay Google because you haven't trained your own beloved customer to bookmark your URL. So, you pay Google to get your own customer to visit your site. Next, you pay Google to facilitate the transaction on your site. You use Google Analytics to analyze how effectively Google managed your purchase consideration process. You enter key metrics into the documents and spreadsheet application Google hosts. Then, you blog about the process with Blogger, so that your customers can read the content, search for your URL on Google, and start the process all over again. Will you let Google manage your distribution center one day? Will you let Google staff your contact center for you? Will you let Google run your finance department, or human resource department? Maybe I'm just paranoid. You tell me. It's your turn to participate in the discussion. Who Manages Your Online Strategy? Jeremiah Owyang talks about folks who lead web strategy in media businesses. In your multichannel organization, who leads your web strategy? Who should lead your web strategy? Offer your comments, please. What Is Wrong With E-Commerce? We are more than a decade into the e-commerce experiment, and it feels to me like we've completely stagnated. Something is amiss with e-commerce. Within each category, I see similar presentation styles, similar merchandise, similar prices, similar promotions. There is a human element of e-commerce that, to me, is simply missing. Retail merchandising is all about being human. People exhibit artistry and creativity in presenting and selling merchandise in a retail setting. People serve customers, solve problems, help select merchandise, help make the consumer feel good about her purchase. Humans fail, and we love to talk about all of the failures. But humans succeed far more often than not. The catalog channel, to a lesser extent, has elements of human interaction. The catalog can be merchandised in a way that communicates a story to the customer. Imagery and copywriting communicates a story that engages the customer. The customer picks up the phone, and calls a person working in a call center. The human interaction between the person working in a call center is an important part of the historical success of cataloging. I feel like the online channel is missing warmth, missing a certain element of humanity. All of the websites mentioned earlier do a nice job of presenting merchandise on their homepage. But in all cases, you are dealing with a machine. A machine (one usually programmed by humans) determines what recommendations it has for you. Navigation of the website is largely done in a drill-down manner, one built in the style of databases developed by information technology experts. You can use search and various hyperlinks to jump around a website. But for the most part, you are drilling down, then backing up to a landing page, then drilling down again. This is not the human method of shopping used by customers in stores, or the random thumbing through pages of a catalog. It isn't natural. This drill-down and back-up style of navigation causes the merchant to not be able to tell a compelling story. Catalogers use copy to create emotion and inspire purchasing. The online merchant cannot do this, because the online merchant simply cannot know where every customer is going to navigate at any given time. In the past two or three years, the pace of e-commerce innovation has slowed. E-Commerce continues to grow, in large part because customers are migrating from the catalog channel to the online channel, and because of the increase in access to broadband internet access. Once the transition from catalog to online wraps-up, and once the majority of consumers have broadband access, something will need to change in the online shopping experience. I don't believe our industry's zealous focus on multichannel integration is the answer. Somehow, we marketers need to humanize the online experience. We need to move away from the "information technology" based design of websites, and somehow allow our customers to have meaningful experiences when visiting our sites. Until this happens, we simply compete on the basis of lowest price and best promotional tactics. PC Connection significantly improved the profitability of its business during the past year. Let's take a look at some of the key findings from their most recent 10-Q statement. Through nine months, net sales increased by fifteen percent to just over $1.2 billion dollars. Earnings before taxes dramatically improved, from $7.8 million last year to $14.7 million this year. Small Businesses and Consumers = $655.6 million dollars sales and $4.3 million dollars profit. Sales improved seven percent, profit improved by $1.4 million dollars. Gross Margin was 13.5% in 2006 verses 12.5% in 2005. Large Accounts = $350.0 million dollars sales and $17.6 million dollars profit. Sales improved by a whopping forty-nine percent, profit improved by $5.2 million dollars. Gross Margin was 10.9% in 2006 verses 10.3% in 2005. Public Sector = $197.8 million dollars sales and a loss of $7.2 million dollars. Sales were essentially flat, while profit improved by $0.3 million dollars. Gross Margin was 12.3% in 2006 verses 11.5% in 2006. By product offering, sales improved nicely across all merchandise divisions. Notebooks and PDAs = +7% (the largest merchandise division, $210,000,000 YTD). Management makes several interesting observations in this report. Small business sales increased among businesses, but decreased among consumers. Increases in online sales were offset by decreases in telephone sales. The number of catalogs mailed were decreased verses 2006, focusing instead on more diverse strategies to drive sales among businesses. Large accounts benefited from inclusion of sales from Amherst sales representatives, and a twelve percent growth in organic sales. Gross margins were improved by vendor considerations. I enjoy reading about businesses that I am not familiar with. Specifically, I have generally worked for businesses with gross margins in the forty to sixty percent range, businesses that largely developed their own products. In this case, PC Connection largely sources merchandise from vendors who can and do sell their own merchandise through their own distribution channels, or through other channels. For instance, HP computers can be sold via HP's website, or through businesses like Best Buy. Competitively, PC Connection would have to differentiate itself in some manner, so that customers choose their business. In my case, I buy from PC Connection because merchandise is shipped in a rapid and inexpensive manner. As you can see, PC Connection faces challenges managing a business with gross margins in the twelve percent range. Downturns in business can cause the business to not leverage fixed expenses. Large accounts appear highly profitable, as sales and margin leverage a minimal expense structure. The majority of the profit generated by PC Connection is generated by only 87 employees. More than four hundred employees manage the small business segment. It will be interesting to see if PC Connection can continue to drive sales and profit increases at a time when margin pressure increases in the computing industry. What do you think about the prospects for PC Connection? NPR just ran a story about a website called Dead Malls. The site outlines various shopping centers that have closed their doors over time. I read through a few of the stories, and find the narrative fascinating. The site provides a unique history of retailing in America. Given that today is the alleged day that retailers finally turn a profit, we should spend some time on profitability. We frequently read about the importance of merchandising, branding, gross margin, marketing, and expense management in driving a profitable online/catalog business. We infrequently read about the importance of managing the mundane details of a business, things like filling orders, minimizing returns, and running and efficient fulfillment center. In the example below, we have an online/catalog business that is barely profitable. Now, let's assume that management improves three key metrics. Assume that the lost sales rate improves from 15% to 10%. Assume that the return rate improves from 30% to 25%. Also assume that fulfillment expense (what it costs to pick, pack and ship and item) improves from 17% to 12%. The profit and loss statement below illustrates the impact of these improvements on profit. In this example, profit dramatically improves, from about break-even, to more than $1.8 million in annual profit. This is one of the big secrets about profitability. 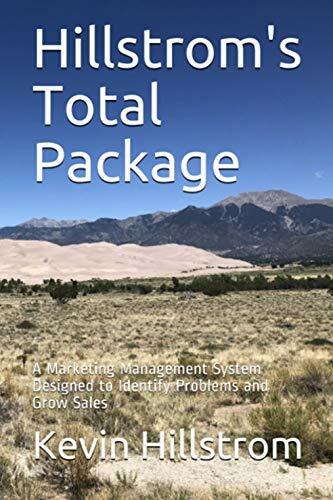 Many management experts look to driving top-line sale, improving gross-margin, driving sales via marketing, or managing general and administrative expenses as the route to business success. However, a relentless focus on filling each order, reducing returns, and improving distribution and contact center efficiency have a significant impact on overall profitability. I am thankful that so many of you take time out of your day to read my comments. You have so many choices for spending your time however you want to spend it. I feel honored that you spend your free time with me. Thank you! On a commercial this evening, Macy's advertised Friday doorbusters. In the mouse print, they stated that when doorbuster supplies run out, pricing reverts back to normal, with regional differences. Multchannel pundits --- here's a question for you. Is regional pricing acceptable? Should a customer in Milwaukee pay less than a customer in San Francisco? And how would you recommend Macy's execute their online pricing strategy? How should Macy's price the item online? Updated 12/06/2006: Visit this link for a more thorough investigation of ROI formulas used in multichannel marketing. Enjoy the comments below regarding measuring the ROI of blogging! The good folks at Blog Business Summit share an interesting formula for measuring the return on investment of writing activities. Since blogging can be viewed as the art of copywriting applied to the technology of the 21st century, we catalog/online retailers finally have a way to quantify the financial impact of writing great copy. For instance, assume that somebody Google's the following term: Michael Smith President And CEO. The top result is not the business this individual runs. The number one site, according to Google, is my blog. This fledgling business should have some sort of blog, so that searchers are directed to the appropriate content. Google is driving traffic to my site each week, traffic that should be going elsewhere. There are many examples of terms that drive traffic to my site, traffic that should be going to your business. Here are two additional examples. PF = Profit Factor, the Percentage of AOS that is converted to profit. Your business blog gets 200 visitors per day. Three percent of your blog's visitors decide to purchase merchandise. The average order size of a blog visitor's purchase is $150. Twenty percent of each purchase is converted to profit. The profit factor = 20%. The person you hired to blog spends three hours per day writing content. This person earns $80,000 per year including bonus and benefits, or, about $40 per hour. Blogging ROI = (200 * 0.03 * $150 * 0.20) / (3 * $40). Blogging ROI = ($180) / ($120) = 1.5. Any time the formula returns a number greater than 1.0, you will be making money with your business blog. In this case, for every $120 spent blogging, $180 of profit are generated, yielding a positive response. In this example, $60 * $365 = $21,900 of annual profit are realized. Technology finally allows businesses to truly direct traffic to a site via copywriting. It has become important to write content that is search-friendly. The ROI formula, illustrated above, demonstrates that it isn't hard to justify the effort. One of the great things about the day before Thanksgiving is that you can debate issues that fly under the radar screen on any other workday. Consider this topic before your boss excuses you from the office at 2:00pm today. CyberSource Corp. claims that Cyber Monday is no longer the Monday after Thanksgiving, but instead, will be held on December 18, 2006. Shop.org allegedly invented the term, and has set up a website to feature online and catalog retailers called cybermonday.com. They steadfastly support the November 27, 2006 date for Cyber Monday. Coremetrics eschews Cyber Monday, in favor of eDay, claiming the biggest e-commerce day will be December 4, 2006. What do you think? When is Cyber Monday? a) The Monday after Thanksgiving. b) The last Monday before Christmas. c) There is no Cyber Monday. It has been replaced by eDay. d) Enjoy your Thanksgiving holiday! Lots of good feedback so far on the exercise to find a way to measure advertising effectiveness, and on the dataset of ten thousand simulated customers. Several vendors have volunteered to attempt to find a solution, and I received feedback from several data mining experts that they want to take a crack at the exercise. If you know of good analytical folks, or you work with good vendors willing to try to solve something for the good of the catalog/online industry, send them this link. Entries need to be submitted by January 31, 2007. Assume you are the CEO for an online/catalog multichannel business. Your CFO opens up the purse strings, and gives you access to a million dollars. How would you spend the money? Leave your suggestion in the comments section below. Here's a few suggestions to get you started. Invest in improved functionality of the website. Hire individuals who have skills that are lacking in your organization. Give current staff bonuses, salary increases, or improve health-care opportunities for your team. Mail additional catalogs to drive increased volume. Invest the money in customer acquisition activities across all advertising channels. Invest the money in customer retention activities across all channels. Develop a multichannel brand building advertising campaign. Invest in research and development of new products or services. Increase customer service staffing levels. Give the money back to the customer via reduced shipping and handling rates, or expedited shipping. Improve inventory systems so that you can truly participate in multichannel retailing. Obtain favorable homepage placements on Yahoo! or MSN or AOL. Improve the photography and creative execution of your catalog mailings and website imagery. Pay shareholders a special one-time dividend. Invest in public relations activities designed to improve customer perception of the brand, including donations to worthy non-profit organizations. Develop "Web 2.0" marketing strategies that increase customer participation in your brand. Purchase the naming rights to your local minor-league baseball team's stadium. Purchase new office furniture for your employees. Purchase new computer hardware for your employees. Enter into a strategic project with a major management consulting firm that, with luck, results in greatly increased velocity of your brand. Develop a highly personalized and targeted e-mail campaign strategy with trigger-based campaigns. Which of these opportunities would you pursue? Better yet, suggest one of your own. Please Help Our Industry Measure Advertising Effectiveness! Online/Catalog marketers (frequently called Multichannel marketers) have inherent challenges in properly allocating a purchase to the advertising tactic that truly drove the order. If a customer receives a catalog, several e-mail campaigns, and maybe additional direct mail within a short period of time, a purchase may have been caused by a combination of marketing activities, not just any one marketing activity. Posts from the past few days talk about this topic. Customer Number = Uniquely identifies each customer. Recency = Months since last purchase, grouped into segments. Frequency = Number of lifetime purchases, grouped into segments. Monetary = Average Order Size, grouped into segments. Receive Catalog = Yes/No indicator telling whether customer received a catalog in the past month. Receive Postcard = Yes/No indicator telling whether customer received a direct mail postcard promotion in the past month. Receive E-Mail Campaign #1 = Yes/No indicator telling whether customer received the first of two e-mail campaigns in the past month. Receive E-Mail Campaign #2 = Yes/No indicator telling whether customer received the second of two e-mail campaigns in the past month. Catalog Net Sales = Amount customer spent via the telephone channel in the past month. Online Net Sales = Amount customer spent via the online channel in the past month. Here is what I would like for you to do. Analyze the dataset, and properly allocate the net sales each of the four advertising activities drove to the catalog/telephone channel and to the online channel. I provided the customer segmentation information, should you wish to control for this data. Sales that cannot be attributed to one of the methods of advertising should fall into the "organic" row in the table below. Catalog Mailing ? ? ? Postcard Mailing ? ? ? E-Mail Campaign #1 ? ? ? E-Mail Campaign #2 ? ? ? Organic Sales ? ? ? The analysis should yield about $59,000 total catalog sales, and about $72,000 total online sales. The goal of this project is to help marketing individuals in the online/catalog multichannel world understand how they should measure advertising effectiveness. Keep that in mind when you summarize your findings. You are speaking to a marketing executive who may not be well-versed in analytics. I will accept entries between now and January 31, 2007. I will publish all findings, so long as the table mentioned above is completed and your write-up can be understood by a marketing executive. This exercise provides strong analytical individuals a good opportunity to showcase their skills. Vendors, in particular, have a great opportunity to illustrate use of their tool-set for marketing individuals who make decisions about which vendor to work with. Online/Catalog marketers have an opportunity to learn how they can improve their advertising measurements. Please forward this post to your analytically-minded friends, and vendors who may already provide solutions to problems of this nature. Let's see if we can find a way to improve advertising measurement. I will post all completed entries in early February. Here are a few good articles from the Friends of MineThatData. Occam's Razor: A good discussion about measuring the "real" conversion rate. Luna Metrics: Twelve highly-detailed suggestions on improving blog conversion. Rimm-Kaufman Group: A discussion with catalog expert John Lenser. Digital Solid is hosting this week's Carnival of Marketing. Yesterday's post about allocating online orders to the catalog channel causes one to think about the best ways to measure advertising effectiveness. Assuming you don't execute "A/B" tests to measure incremental sales across all channels, the matchback analysis provides better answers than doing nothing. However, there are challenges that need to be addressed. Example #1: You send a catalog on October 15 to your entire catalog housefile. You send an e-mail campaign on October 18 to your opt-in housefile list. You also secure a placement on MSN on October 19. On October 22, a prior catalog purchaser and current e-mail subscriber visits your site with a referring URL from the MSN placement, and purchases merchandise. Which advertising channel is responsible for this order? Example #2: Same criteria as above (catalog mailed on 10/15, e-mail sent on 10/18, MSN placement on 10/22). Customer visits site after conducting a search on MSN on 10/22, and purchases merchandise. Which advertising channel is responsible for this order? Example #3: Same criteria as above. Customer visits your website via organic search on Google on 10/24, and purchases merchandise. Which channel is responsible for this order? What analytical technique do you use to reconcile the issues in examples one through three? If you don't manage this issue in-house, which vendor do you work with to resolve these issues? If you don't work with a vendor or analyze these issues in-house, how do you determine your educated guesses? Lastly, who are the vendors that you believe are most credible and most talented in this field of study? Williams Sonoma always does a nice job of sharing fun facts with the public. In their third quarter earnings release, they state that "55% of online revenues are generated by customers who recently received a catalog." This is always an interesting topic of debate in the database marketing world. Williams Sonoma does not specifically state which of two popular analytical methods they use to measure this metric. Most popular, and most vigorously argued against by the analytically adept, is the method of attributing every online order to the catalog channel, if a customer recently received a catalog. The theory behind this technique (often called a "matchback analysis") is that the catalog inspired the order. Many vendors promote this methodology, and for good reason. The technique can overstate orders attributed to mailed catalogs, and vendors have a vested interest in promoting paper as a viable means of profitable marketing. Critics will argue that if you mail your entire housefile, this methodology will cause you to attribute every single online order to the mailing of the catalog. Critics will also argue that if you mail every housefile name a catalog, and send every housefile name an e-mail, the methodology completely breaks-down, rendering the analysis useless. Less popular is the method of an "A/B" split. The marketer randomly splits her mail list into two halves. 50,000 customers receive the catalog, a like group of 50,000 customers do not receive the catalog. Several weeks after the in-home date, the marketer measures total sales in the mail group and control group, in both catalog and online (and, where applicable, retail) channels. This method tends to provide much less-optimistic answers than the "matchback analysis". Critics will argue that this methodology cannot produce reliable results due to sampling error issues. Which methodology do you believe is more appropriate for allocating online orders to the marketing channel that drove the order? Dell's announcement (see update at the bottom of this link) that they will have a virtual store in Second Life (a virtual reality environment) has far-reaching ramifications for all of us in the catalog/online space. It was just a decade ago that various catalogers began dipping their toes in e-commerce. I recall being at Eddie Bauer, in 1996, listening to my Vice President joke with our Online Marketing Manager about generating maybe $750 of sales a day, while the catalog channel drove a million dollars a day, and our stores sold four million dollars of merchandise a day. Ten years ago, it was hard to fathom what e-commerce would become. In much the same way, this announcement begins the shift away from e-commerce, to "v-commerce", or virtual reality commerce. The fact that somebody can configure their own PC in a virtual reality environment, and then have it shipped to one's home, changes online retailing. This has ramifications for the online marketing folks working in companies today. You are the direct-to-consumer arm of your business now, you have taken that responsibility from catalog folks. Be certain to watch the developments of "v-commerce", and make sure your skills are sharp in this arena, so that you don't become "old school" in five to ten years. Don't repeat the mistakes that so many catalog marketers made in the past decade. Update: Many individuals are arriving at this post after a search about suicide. If you are feeling sad, depressed, or just want to talk to somebody, please click here for the National Suicide Prevention Lifeline. You lead a database marketing team, and are proud of the accomplishments of your group. You are up-to-date on all the latest techniques and buzzwords. Your team makes valuable contributions to your business. You have demonstrated the return on investment (ROI) of your team's efforts. And then, out of the blue, something happens that changes your world. Your business is sold to an investment group seeking to turn around your results. Your CEO/President is fired, replaced by a leader who wants to take the business in a new direction. A team of management consultants are assigned the task of leveraging your team's resources to accomplish management initiatives. A new executive is hired to bring necessary expertise (and a fresh perspective) that is currently missing from your organization. Any of these scenarios means one thing for the Vice President of Database Marketing. You are going to have new folks in positions of leadership wanting to put their warm hands all over you, like you were a mouse connected to a computer. These individuals will soon enter your office, wearing well-tailored suits, offering smiles of partnership. After exchanging pleasantries with members of the investment firm, your new CEO, management consultants, or the new executive, the tone is likely to change. Frequently, these individuals start asking questions within the perspective of their worldview. No matter how brilliant your team is, or how well you have performed, these folks will demand that you begin servicing their needs, according to their agenda, according to their timelines, using their metrics. You face an inflection point in your career. Any defense of "the way we've always done things" is not likely to be met favorably. Assuming you want to keep your job, or you have to keep your job, you need to avoid career suicide. Here are four ways to avoid trouble. #1: Learn. Whether you agree or disagree with these folks, they probably offer a different perspective. Why not take the time to understand their point of view, and learn from their experiences? Is there any merit to the way they look at the world? How can you combine their style with your style to truly improve your abilities? #2: Be A Leader. Your team probably has as many questions, and feelings of discomfort as you have. Be honest about how you feel, but be sure to keep everybody focused and productive. Don't walk around hanging your head, don't exhibit poor body language. Be positive. Be as optimistic as you can be. Give your folks reason to have hope, give them someone to believe in. #3: Don't Gossip. This is a big no-no. Bite your tongue. Don't gossip about others to the folks in your office. Don't gossip to others about the folks in your office. Don't gossip to your staff about the folks in your office. If you figure out how to do this effectively, please show me how. #4: Think Long-Term: If you have a new CEO, there's a good chance s/he won't be around in two or three years. If an investment group is evaluating your company, your time in their clutches may even be shorter. If management consultants are running your team in circles, the duration of their engagement is limited to the funds allocated by senior management. If a new executive is involved, remember that your organization's culture is likely to shape the direction the new executive takes things. Help that person through it. If you can't stomach the way these individuals have hijacked your destiny, you need to consider a new company, or new department. Being a cancer to this new process benefits nobody. But if you can tolerate the new projects and viewpoints these individuals introduce, give these four concepts a chance. A colleague proposed to me that businesses should organize their employees around customers, not products or channels. Instead of executives leading online or catalog channels, or merchandise divisions, you have executives leading customer segments. This person believes that multichannel problems caused by silos are eliminated in this situation. Assume that the online/catalog electronics business featured below is successful, and the employees are meeting or exceeding job expectations. How would you re-assign these individuals to positions that support the customer, not products or channels? The Motely Fool shares information about Urban Outfitters and their most recent quarterly results. Direct-to-consumer sales increased seventeen percent, not a huge number, given the evolution of e-commerce. A seven percent increase in sales was offset by a seven percent decrease in profit, largely caused by significantly lower gross margins. Another Motley Fool article illustrates a ten percent drop in comp store sales, on top of last year's thirteen percent increase. Yikes. Comp inventories were down, suggesting better times ahead. A colleague forwarded me information about a new brand from Swiss Colony called Durdy Looks. Will the Monroe, Wisconsin purveyor of cheeses and meats leverage its customer file for prospecting of this trendy brand? Need rough demographic information about a competitor? Try Quantcast. They have a mathematical algorithm that estimates metrics like age, income, ethnicity, and education of your visitors. The tool seems to work for larger companies. Sara Holoubek, of Marketing Profs and DMNews fame, writes about Google potentially rendering traditional advertising and media obsolete. In my opinion, Sara is a very good writer who has her finger on the pulse of many different topics. Black Friday, Cyber Monday and eDay are all coming. Anybody else tired of the labels? Uber-blogger John Battelle has a neat graph depicting internet advertising revenue. I love looking at the internet bubble, from mid 1999 to early 2001. Take that bubble out of the graph, and you have a reasonable and almost linear increase. Interested in blogging? Pronet Advertising has 50 blogging resources for you. Chad White hosts a blog called Retail E-Mail. His site tracks the offer and creative content of e-mail campaigns from large e-commerce organizations. Why not give it a try, or at least subscribe to his feed? It sure seems like the direct marketing industry was a lot more fun to be part of prior to 2000. Today's announcement that Eddie Bauer was sold to Sun Capital and Golden Gate Capital continues a wave of consolidation that seems to have been hastened by the emergence of e-commerce, the over-saturation of specialty retail, and the desire of a small number of people to make a large amount of money. Eddie Bauer is reunited with the Spiegel and Newport News brands, managed under the umbrella of Catalog Holdings, a $1.1 billion dollar direct marketing giant that Golden Gate Capital has a stake in. Other businesses that are part of this conglomeration include Appleseed's, Norm Thompson, Drapers and Damons, Venus, Haband, Mervyn's, Shopko, Lillian Vernon, Marsh Supermarkets, Anchor Blue Retail Group, Dim Branded Apparel, Most, and other brands and titles. Eddie Bauer has some of the most loyal employees on the planet. Somehow these individuals survived the management regime at Spiegel, year after year of comp store sales declines that would make Donald Trump blush, scandal followed by bankruptcy due to Spiegel's banking issues, emergence from bankruptcy, countless changes in strategic direction, downsizing, management changes, and now the scrutiny that will come from leveraged buyout firms. On Tuesday, Eddie Bauer announces third quarter results. This should give us a glimpse into how unhealthy this business is, whether another round of merchandising changes are making a difference, and an idea of just how much assistance Sun Capital and Golden Gate Capital will be offering the management team. If you could back up the time machine to 1994, you could never have forecasted that Eddie Bauer would be in the situation it is in, that Lands' End would be a division of Sears (a business that merged with K-Mart), that Coldwater Creek would have an expansive store portfolio, that J. Jill would be a division of Talbots, that J. Crew would have risen and then fallen and then risen again, and that the catalog industry would be going through near-implosion due to some magical thing called "the internet". What the heck is direct marketing going to look like in 2018? There was a visionary man named Eddie Bauer. I wonder what he would have thought about the state of the company that bears his name? We marketers continue to give Google ownership of our business. Are we getting the results we deserve? This example shows how far search engines have to go before they are doing an adequate job. Try this Google search: eddie bauer jeans style # 5318. Which site shows up #1 out of 741 on November 12? Oh, it is The MineThatData Blog. And the person doing the search clicked-thru to my website. Do you think the customer had my site in mind when s/he searched this phrase? Eddie Bauer does win the paid search battle. Thing is, I've trained myself to not even look at the paid search results, so I didn't notice this fact until the third time I looked at the results. As we continue to hand over a portion of our businesses to the folks at Google, Yahoo! and MSN, we need to hold them accountable for producing accurate search results. Or, we need to figure out how to make our website pages search friendly, so that this doesn't happen. Earlier in the week, J.C. Penney reported 3rd quarter results. In addition to a comp store sales increase of 5.2%, the retailer reported an increase in their direct channel of 5%, driven by a 27% increase in online sales. Guess what must have happened to catalog/phone sales? Also interesting was a comment that JCP enjoyed September sales increases because Macy's increased advertising. Management had this to say about Macy's: "We think they're obviously going through some difficulties with their integration, but we want them them to be healthy." Management noted that Penney's benefits when Macy's draws people to malls. Never has it been more important to thoroughly understand how products, channels, brands and competitors all interact with each other. Featured to the right are "Bhavin" boots from Nine West. These stylish boots are available at both Zappos and Macy's (and also at Nine West and other retailers, but I digress). I will assume they are available in Macy's stores, though I don't know for certain if this is true. How much do these boots cost? Zappos: $112.95. Sales Tax = $0.00. Shipping Cost = $0.00. Total Cost = $112.95. Macy's Retail: $109.00. Sales Tax = $9.59 in Western Washington. Total Cost = $118.59. Macy's Online: $109.00. Shipping Cost = $13.95 (item does not qualify for free shipping on $125 purchase promotion). Sales Tax = $10.82 in Western Washington. Total Cost = $133.77. The multichannel merchant (Macy's) offers you the item for $118.59 if you are willing to spend time driving to the mall, or offers the item for $133.77 if you purchase it online. The single-channel merchant (Zappos) offers you the item for $112.95. As a consumer, do you choose the multichannel merchant (Macy's), or do you choose the single-channel merchant (Zappos)? Please provide your opinions in the comments section of this post. From time to time, I will be sharing commentary from individuals in the Database Marketing, Direct Marketing, and Analytics areas of the blogosphere. If your site falls into one of these three categories, you can become one of the "Friends of MineThatData". Here is the inaugural "Friends of MineThatData", with associated BlogJuice rankings. If you enjoy reading other Database Marketing, Direct Marketing or Analytics websites, or want to be considered for inclusion, give me a holler. Earlier this week, Overstock.com announced third quarter results, sharing with the public a year-to-date loss of $56,000,000 on net sales of $499,000,000. There were many interesting tidbits in their 10-Q statement. Let's explore some of the comments. In the third quarter, and early fourth quarter, sales decreased verses prior year. This will be very interesting to follow, going forward. We all follow the online sales forecasts from folks at Forrester Research and other outlets, forecasts that suggest continued and unimpeded double-digit online growth. Overstock.com is bucking this trend. Management states that sales decreased due to a decline in conversion rate. In other words, traffic supported growth, but fewer visitors decided to purchase something. It is interesting that management elected to throw the marketing department under the bus. Management is quoted as saying "The areas of our business that most directly affect conversion rate, including personalization of the website, customer retention, e-mail marketing, site design and layout are the responsibility of the marketing department". Ouch! Apparently the quality, assortment and price of the merchandise do not play as large a role in determining whether customers want to purchase anything from Overstock.com. As a customer, do you buy from Overstock.com because of the merchandise, the price, or the design and layout of the site? Obviously, any marketing department can do better. Merchandisers can also do better. Management stated that marketing expenditures were less efficient because marketing agreements with MSN, Yahoo! and AOL expired or were too expensive to cost justify. Management elected to increase spend on television and radio. This caused brand recognition to increase, but did not result in an increase in sales. Management says marketing dollars will be re-directed only to activities that increase conversion. Technology costs increased dramatically, hurting profitability. Management states that the technology platform now supports a billion-dollar a year business. There are several takeaways from what Overstock.com was kind enough to share with us about their business. Overstock.com will probably need a 20% to 40% increase in net sales, assuming marketing expense increases at half that rate, and technology expense decreases significantly, in order to achieve break-even status. 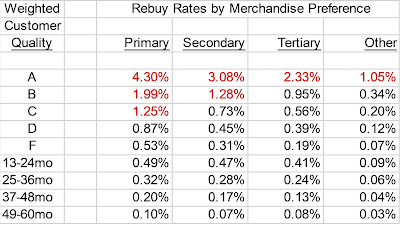 Management did not publicly criticize the merchandise assortment as a reason for decreases in conversion rate. Wow. Is it possible that customers did not want to purchase what Overstock.com had to offer, or did not find the price of the merchandise amenable? Overstock.com publicly announced a problem that many other online retailers are going to run up against in the future. Overstock.com depended upon portals for reasonably priced advertising opportunities. Conversely, Portals charge what the market can bear for the real estate they offer. As you continue to yield control of your business to MSN, Yahoo!, AOL and Google, be willing to accept loss of control over your sales and profit trajectory. A few things for your consideration. Multichannel Merchant features an interview with catalog expert Bill End. Mr. End was President/CEO at Lands' End during the majority of my tenure. I was a nobody, yet he listened to and shaped my research. It is a lot of fun to be a nobody and have somebody listen to you. No subsequent experience replaced the rush of those formative years. Rick Whittington had the opposite view that I had about shopping cart abandonment. Mary Meeker of Morgan Stanley offers this presentation of where the internet is heading.